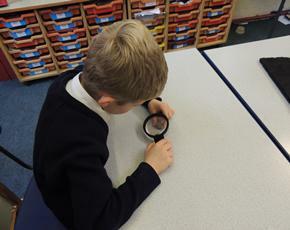 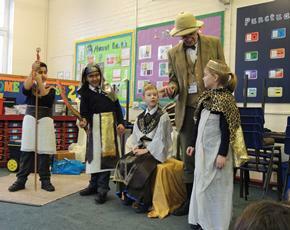 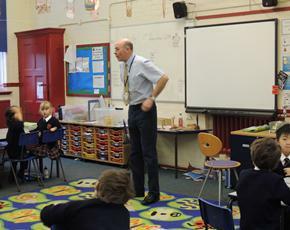 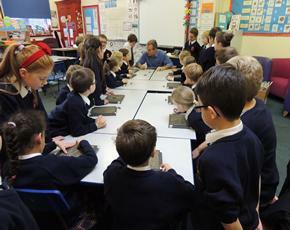 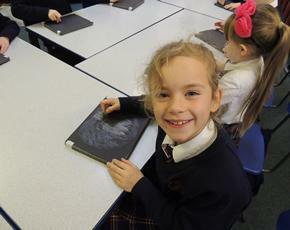 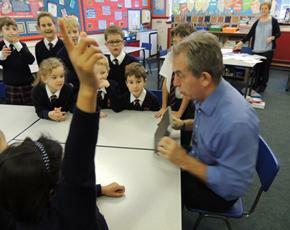 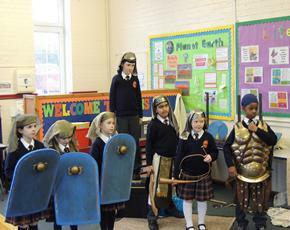 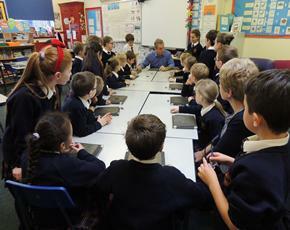 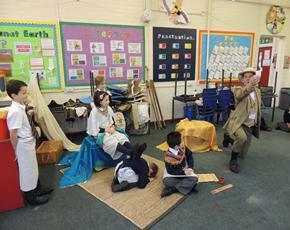 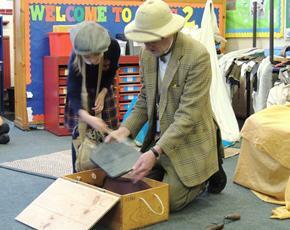 Year 3 had a brilliant Ancient Egyptian Wow Day on Tuesday and the children participated in three workshops. 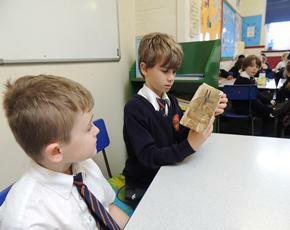 Mortimer led a drama/role play presentation in which they dressed up in Egyptian costumes and used artefacts to act out different scenarios. 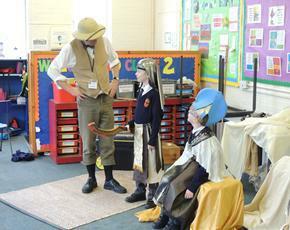 They took particular delight in seeing some of the teachers as 'officers' being hit from behind by an arrow and they were kept in fits of laughter throughout the session. 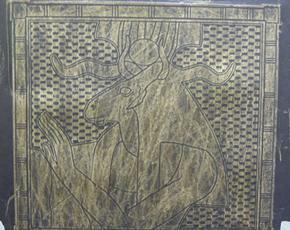 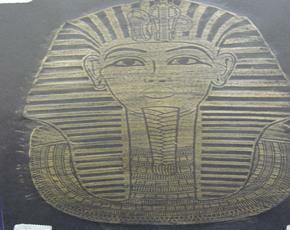 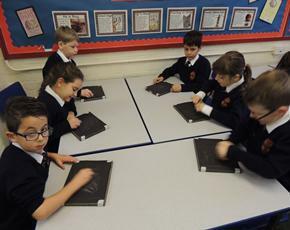 The second activity was brass rubbing where the children used metallic waxes on real brasses of Egyptian images. 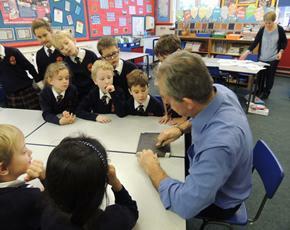 Mr Clark, an ex-parent, brought along an amazing selection of Egyptian artefacts from his extensive collection. 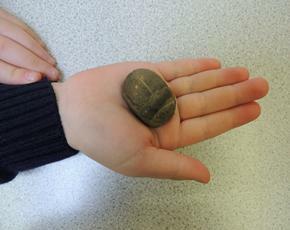 During this session the children were thrilled to be handling items or trying on jewellery several thousand years old. 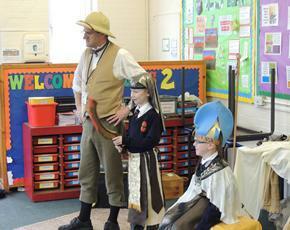 The day immersed them in Ancient Egyptian history in a very memorable and enjoyable way.